'Worthy art Thou, our Lord and our God, to receive glory and honor and power; for Thou didst create all things, and because of Thy will they existed, and were created." It has truly been a blessing to receive these wonderful awards from our peers on the web and with thanks they are displayed here. I was very impressed by all the hard work you have put into the site and have to congratulate you on a wonderful achievement in web site design, both in appearance and content. May the Lord bless all that you do which brings glory to Him in your ministry and via your internet site. I have enclosed all three of our awards for your site. Bob's "Holyman's Web Page" is definitely worth your visit ! Good Afternoon, My name is Jake from Jakes Christian Hangout. 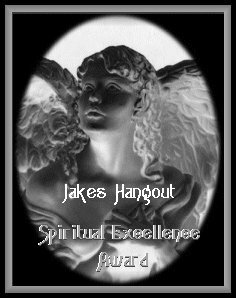 I surfed into your website and I'm so totally impressed with your love of God I wanted to give you our Spiritual Award. Please accept in Gods honor and if you'd like link it back to our site. God Bless and keep you and visit our site if you get the chance. Jake's site is definitely a must see ! Visit "Life of Joy" by clicking on the award above ! Greetings in the Lord Jesus Christ, Your web site has been awarded our Life of Joy - Site of Excellence Award. 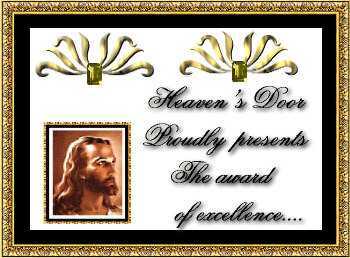 This award is given to web sites of particular excellence that honor Jesus Christ. God has obviously blessed you in your effort to reach His children through your web site. 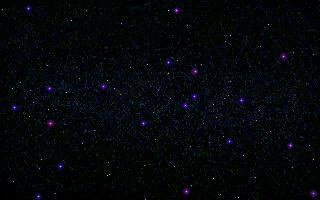 Your site is exceptional and a blessing to all who visit. May God continue to bless you and your exciting internet ministry. Visit "The Garden of Eden" by clicking on the award above ! You are the Newest Winner of the "Eden Award of Excellence!" ...and if you would like to display the "Web Life" award you may. "Your site went above and beyond the qualifications for this award. I consider your site to be excellent in all qualities: graphics, HTML usage, and navigation ease. I was especially impressed with your "Knowing Jesus" pages, they're awesome! Congratulations on an excellent job! We thank you for your excellence!" Mark Fulton from "The Garden of Eden"
My husband and I have just visited you beautiful web site and we would be honored if you would accept our award. We feel that it is a blessing to be able to do anything for the Lord. When you have time please stop by our web site and take a look at the beautiful free love gifts that God has blessed us to distribute.Praise the Lord!... All glory belongs to Him alone�.